Silver Lake Resort in Orlando, Near Disney! Get away from it all at this award-winning vacation retreat. Silver Lake Resort is adjacent to one of Florida's most popular attractions -- Walt Disney World. The resort's Caribbean ambiance offers peace and quiet, yet it's located right in the heart of one of the country's most popular vacation spots. A variety of restaurants and shops are a mile away. In addition to the abundant off-site entertainment, a weekly schedule of on-site activities make good use of the resort's spectacular heated outdoor pool and gorgeous clubhouse. Check out our Travel Auctions for Silver Lake Resort ... or Buy-It-Now with our Best Price Guarantee! Starting at $1! - Silver Lake Resort in Orlando, Florida NEAR DISNEY - April 19, 2019 - Bid on a 7 Night Stay in a 1 Bedroom Suite with Full Kitchen! Silver Lake Resort in Orlando, Florida NEAR DISNEY - Bid on a 7 Night Stay in a 1 Bedroom Suite with Full Kitchen! Silver Lake Resort in Orlando, Florida NEAR DISNEY - Bid on a 7 Night Stay in a Hotel Unit with a Partial Kitchen! Silver Lake Resort in Orlando, Florida NEAR DISNEY - Bid on a 7 Night Stay in a 2 Bedroom Suite! 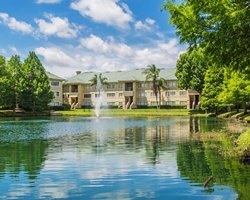 Silver Lake Resort in Orlando, Florida NEAR DISNEY - Buy a 7 Night Stay in a Hotel Unit with a Partial Kitchen! Silver Lake Resort in Orlando, Florida NEAR DISNEY - Buy a 7 Night Stay in a 2 Bedroom Suite!